If Mac Donald and KFC can represent the American lifestyle, then it has successfully converted the Mainland Chinese, in particular their younger generation. And in Hong Kong, the newest American lifestyle inroad is Starbucks. A few years ago Starbucks was the IN-thing for the trendy, now it has become THE lifestyle place of Hong Kong young-at-hearts, it is always the younger generation who first takes on a new lifestyle product or concept. Now, we have Starbucks, together with its competitor Pacific Coffee, shops in University campuses, private and public hospitals, and mass-market shopping districts like Mongkok where the famous Ladies' Market is situated. Caffè latte is the most popular drink in Starbucks, and it is always the same coffee blend, like the recipe of KFC, always the same recipe, and like the same old burger beef in a Mac Donald. Actually KFC and Mac Donald offer some variation geographically, they serve local meat, that incidentally makes KFC taste better in Mainland China than in Hong Kong, due to the fact that Mainland China has a stronger culture in raising and doing chickens. With culture, a person develops a more discerning taste (with the meaning of taste not restricted to our taste buds). On the other hand, lifestyle is a fixation, a fixation to a certain way of living, to a certain symbol, to a certain identity. It is a cola War between Coke and Pepsi. And it is a friendly contest, sometimes in a fair blind tasting situation, for a connoisseur's taste buds for a culinary culture. 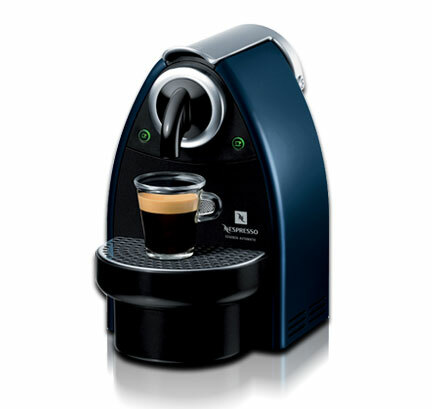 If one can say Starbucks represent a coffee lifestyle, Nespresso shall represent a (branded) coffee culture. Last Saturday, Paul and I went to the Elements Shopping Arcade. We visited the Nespresso shop there. They just launched their set of new seasonal flavours: Macadamia, Hazel nut and Coconut. The shop was busy with people eagerly tasting the new flavours, selecting the one(s) that they like and replenishing some old all-time favourites. Paul and I were among the passionate crowd. If Cartier's Love Ring represents a Lifestyle in fine jewelry, my Love Tree Ring will humbly represent a niche culture in fine jewelry. And if lifestyle represents big business and a symbol of identity, culture will represent niche business and a signature of passion. Which one do you like? Lifestyle or culture? or Both?